The perfect wedding venue is one that you can't stop thinking of. Croatia and Split offer such a treasure trove of romantic settings—from dreamy castles, seaside villas and magnificent garden estates to ancient cathedrals, museum courtyards or even the 1,700 year old cellars of Emperor Diocletian's Palace! Split has a magic. Your guests will fall in love with it's old town and amazing beaches around the cost. 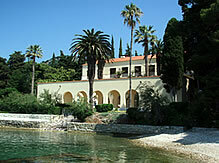 Dinner underneath the stars in private Villa by the sea is the famous place to get married in Split. Villa gives intimate way to celebrate your marriage. 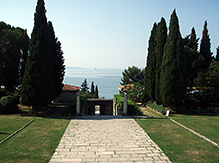 Split and Croatia have a lot's of place for destination wedding, like castle where the popular serial „ Game of Trons“ were filmed, little restaurants by the sea, or charming restaurants in old city. Weather you want beach, castle, villa, lovely restaurants or boat wedding we will provide you with wonderful selection of wedding venues. If you dream of romantic, elegant, rustic or urban wedding we are here to find and design place right for you. With 2,700 sunny hours per year and so many different places to choose from, organizing a fabulous outdoor wedding here is worry-free! Specail offer: We can organize your wedding by the sea even in spring, or winter, when the beaches are not so crowded. Take a chance to experience wedding by the sea in low seasion in great place by the sea with glass terrace. Place take a look for more inspirations on our Blog.